The success of many online business is only by the secure payment. Uninterrupted transaction with secure data storage is also one of the important concept in online payment gateway, it will helps your returning customers to stay by your site. Bootsgrid is one among the best providers of payment integration in all PHP frameworks and applications. We have dedicated and well experienced developers to understand the need of the customers are created amazing payment integration for modules such as Magento, WordPress, CS Cart, Prestashop Drupal, Prestashop, Opencart, Shopify, Big commerce, Os commerce etc.. Following are the payment methods created by Bootsgrid for Magento Stores. Online retailers can immediately introduce finance offers simply by adding the Pay4Later Payment Gateway to their existing Magento store. The Pay4later finance option is displayed on the the Checkout. The customer can select from a choice of credit options offered by the retailer (for example, 12 months interest free credit or 24 months classic credit) and specify a deposit. Worldpay allows online payment, allows users to see orders in their dashboard when they arrive. Users can able to see the live status of their orders, view their conversion rate at any given time. Stripe Payments & Subscriptions is an advanced and feature-rich module that will integrate Magento 2 website with the Stripe payment gateway. Customer can renews their card with their bank, Stripe can still continue using the same renewed card without any necessary update by the customer or the merchant. When a customer is billed, Stripe notifies your website using our module’s integrated webhooks system, so that new invoices are automatically generated in your admin area and in the customer account section. Worldpay is the safe,secure woocommerce payment gateway. WorldPay features provides everything you need to accept and process payments by online credit and debit cards. WorldPay is a global leader in online merchant account payment processing and operates over 40+ countries.We provide payments processing online and offline for small, medium and large businesses. Payfast payment gateway for woocommerce is the secure payment gateway. This plugin is specially developed for the south african site owners to integrate into wordpress woocommerce. PayFast allow sellers to accept payments from buyers in a variety of ways. Online retailers can immediately introduce finance offers by adding the Pay4Later Payment Gateway to an existing wordpress woocommerce store. The Pay4later will be displayed in he Checkout. The customer can select from a choice of credit options offered by the retailer (for example, 12 months interest free credit or 24 months classic credit) and specify a deposit. Pay4later(dekopay) is one of the best and leading finance payment module. This method is all about to describe the users about purchase product and pay. Customers can purchase the products with specified installment rates. Pay4later(dekopay) for prestashop have the latest in user experience design, fewer fields, intelligent address matching, digital signatures and smooth checkout integration . 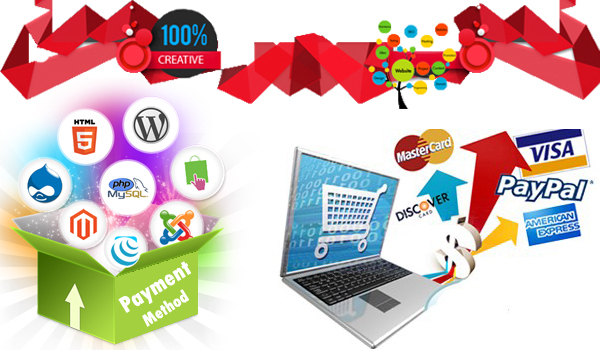 It is one of best and leading finance payment module for Prestashop.